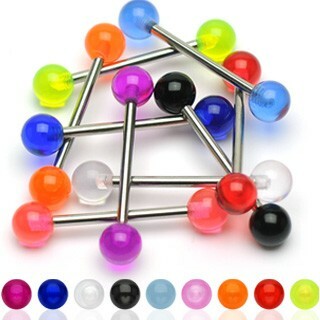 This 316L Surgical Steel Barbell with UV coloured balls. 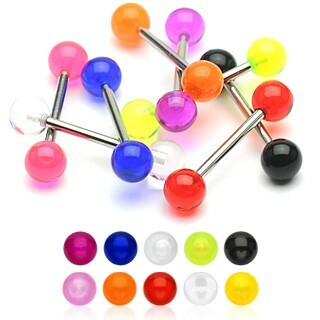 The ultra violet balls are acrylic. These balls glow under black light. Especially in a club, it is fantastic!